Donald J. Trump campaigned on a platform that he was going to make the greatest deals imaginable for the United States. According to this view, he rightly criticized the way that China has cheated the United States. In fact, he appointed Peter Navarro to be the head of the White House National Trade Council. In 2012, Navarro made waves for his brilliant documentary on how China has undercut U.S. interests through ceaseless economic warfare. 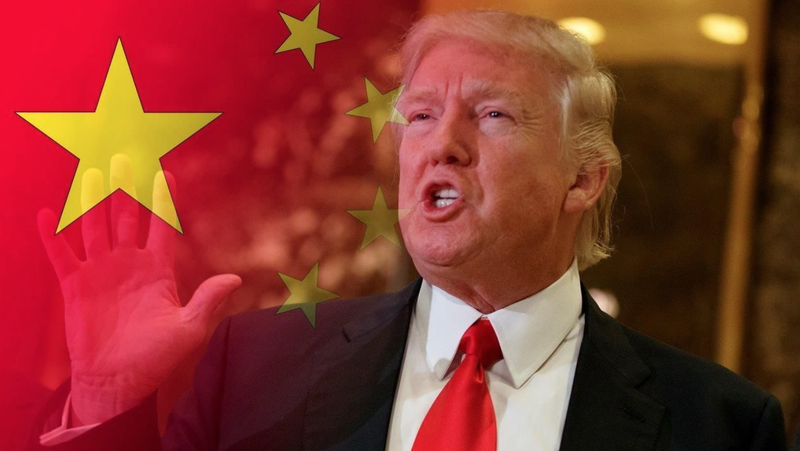 Trump is keenly aware of China’s recent military moves aimed at undermining the American presence in the South China Sea and Southeast Asia. Shortly after Trump’s election, one of his first acts was to break with diplomatic protocol and accept a congratulatory phone call with the pro-independence Taiwanese President Tsai Ing-wen. This move sent the Chinese Politburo into a rage not seen since before the Nixon Administration. It was a glorious thing to behold. The One-China Policy was a strategic formulation embraced by the Carter Administration. In order to keep China aligned with the West during the heady days of the Cold War, U.S. policymakers placated China by no longer recognizing Taiwan’s government. The government of Taiwan was run by the Chinese nationalists of the Guomindang Party. This was the same group who had lost China in the civil war with the Communists led by Mao Tse-tung. At the end of the civil war, the Guomindang escaped across the Taiwan Strait and established themselves on Taiwan. They claimed to be the legitimate government of China-in-exile. The United States recognized them as such until the Carter Administration. As former Nixon aide Bruce Herschensohn wrote in his 2006 book, Taiwan: The Threatened Democracy,Jimmy Carter wanted to solidify the ties that Nixon had first formed with China. Thus, President Carter recognized the Communist government in Beijing as the official government of China. Under this approach, while the United States would not allow for Taiwan to be forcibly reintegrated with the mainland, it would also no longer recognize Taiwan as a fully sovereign state. This reality has persisted for decades. With Trump, many believed the paradigm would return to the pre-Carter assumptions. Click here to finish reading the article over at American Greatness.